David and I are performing our story and music show Dark Age Deeds of the Celtic Saints in Cheltenham on 17 April. A good time perhaps to say something about why the tales of the Celtic saints have always attracted me as a storyteller. At the heart of my fascination is the encounter between paganism and Christianity – in early medieval history and also today. Different things happened in different places when the Christian faith came to a new country. Some of that has been destructive; other things have been more positive. In Ireland and Scotland, unlike in southern Britain, the Druids were still at large when the likes of St Patrick and St Columba arrived on the scene. There was a rivalry between the old and the new ways, but also an interesting syncretism. The Christian monks incorporated into their outlook and way of life much that came from the Druids – symbolic things like the kind of tonsure they wore, but more importantly a style of spirituality that was reverent towards nature and adapted to the local particularities of place. There’s lots of scope for romanticising all this – and I admit I’m a romantic – and there’s debate about how much independence the Celtic strand of the Church had from the centre of Church power in Rome. Certainly, by the time of the Synod of Whitby in 664, there was enough local particularity in Church practice in the British Isles that the Roman authorities felt a need to demand compliance with norms accepted elsewhere. At the beginning of this journey of Celtic Christianity, there are remarkable tales that tell of the saints’ encounters not only with Druids and kings but also with the Tuatha Dé Danann – the old gods of Ireland – and even the first known sighting of the Loch Ness monster. Many of these tales are but anecdotes of individual events, so a storyteller has work to do to weave these bits and pieces into satisfying stories – which in turn can then be connected to form the arc of a complete performance. On top of that, for Dark Age Deeds of the Celtic Saints, David has composed songs inspired by devotional poems written by Irish saints during the actual period in which the tales are set. If you’d like to come to our show in Cheltenham, it’s at 2.30 pm, Sunday 17 April, in St Philip and St James Church, Grafton Road, Cheltenham GL50 2DL. Book tickets on 0844 576 2210 or at Cheltenham Town Hall. The show is part of the Christian Arts Festival in Cheltenham, find out more here. But what does that have to do with the Arts and Crafts Movement? If you read it, you’ll discover that one of the characters in it is an Arts and Crafts architect by the name of Norman Jewson. The story originally comes from Jewson’s wonderful account of his arrival and subsequent life in the Cotswolds, By Chance I Did Rove. A quick scout on the internet tells you that this excellent book is sadly out of print, but if you do get a chance to read it – well, do! Jewson was originally from Norfolk, and, as a young man in 1907, he decided to set out with a donkey and trap to sketch in the Cotswolds, and, on the way, to visit his hero, the architect Ernest Gimson. He arrived in Sapperton, was welcomed by Gimson – and stayed for the rest of his life. He completed his training under Gimson, and he married another of the Sapperton architect’s daughters, Mary Barnsley, the daughter of Ernest Barnsley. Gimson became his ‘greatest friend, and very much more.’ He said Gimson ‘was the most inspiring man I ever met’, but he made many friends in the area. One important friend was the etcher Fred Griggs, who lived in Chipping Campden. Griggs contributed greatly to the town, and it may well have been Griggs who started our ghost tale off by being the person to recommend Jewson as an architect to assist when a crack appeared in one of the piers in St James’ church. Lady Juliana’s ghost, however, was seen flitting about the ruins of a far more ostentatious piece of architecture, and we’ll hear her story in the next blog. If you’d like to find out more about the Arts and Crafts Movement in the Cotswolds, and the utopian projects of the men and women who made their lives here, why not go to my new exhibition, Crafting Change: Community, Protest, Utopia which runs until 5 June and tells how communities in the Cotswolds, Cheltenham and beyond found new ways of living, protesting, and dreaming of creating a better world for themselves and the future. 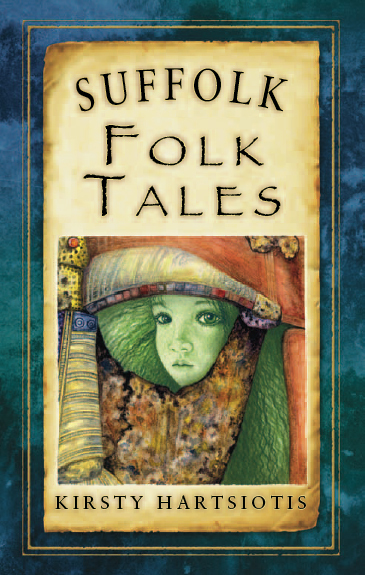 Anthony talks about telling folk tales – and the process of writing them. ‘Once the primary way in which stories were shared, the art of storytelling has an unstable place in a modern world in which not only books but also much louder and shinier media have so much power to colonise people’s attention. The very word ‘storytelling’ is hijacked by the publicists of novels and films. When ‘storytelling’ is understood to mean oral storytelling, the public expectation so often remains that it must be something for young children. Even in the arena of ‘spoken word’ performance, storytelling gets crowded out by people reciting poems or reading out short stories. 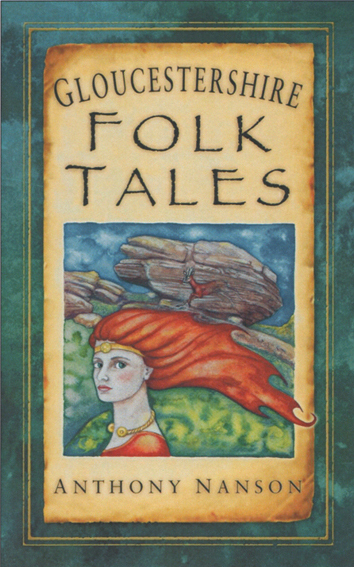 In such a milieu the History Press’s Folk Tales series does one service to storytelling in its clear intention that these collections of retold tales be pitched to an adult audience, and another in providing storytellers with a huge library of tales gathered from each county of the British Isles. At the same time, the recruitment of storytellers to write these books, and the promotion of the series on the basis of such authorship, raises practical questions about how to write them which go to the root of storytelling’s relationship with other narrative media – in particular the media of folklore collection and prose fiction. 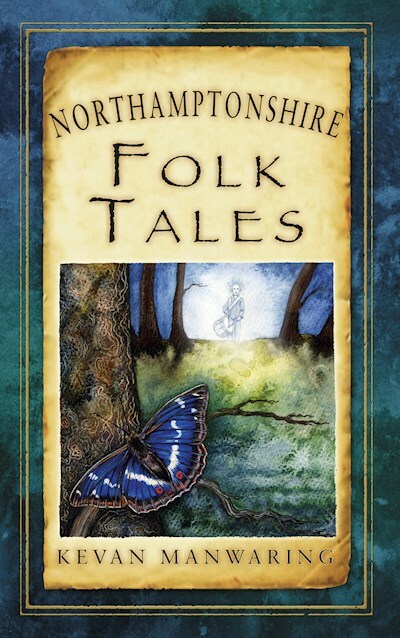 Many books in the series draw heavily on material collected by folklorists from the oral tradition. 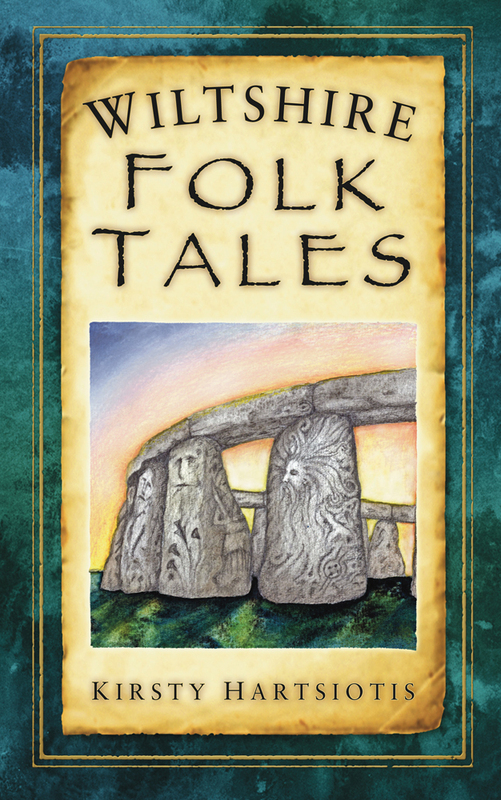 Early folklore scholarship often paraphrased or summarised the tales collected; the later practice became to record texts verbatim from the source tradition bearers (= local storytellers). Either way, volumes of such folklore don’t usually make compelling entertainment for the general reader. Their value is as body of material preserved for future study and as a source of inspiration to storytellers and writers. The reason a transcript of an oral tale may be less than enthralling is that storytellers augment the words they speak with a wealth of non-verbal communication: vocal intonation, pauses, facial expression, eye contact, and bodily stance, gesture, and movement. All of which is underlain by the magic by which the storyteller’s imagining of each scene, in the moment, sparks the scene to life in the listener’s mind. When this non-verbal communication is stripped out, all that remains are the bald words on the page. It’s for exactly the same reason that when storytellers come to write books of tales to entertain the general reader something more is needed than to simply write out transcripts of one’s oral telling of the tales. Writers of prose fiction, on the other hand, have nothing else than the words on the page. They have to compensate for the absence of non-verbal communication by using the written word in artful ways. They construct a style that evokes a voice in the absence of any actual voice. They give precise details of description and action in place of gesture. They carefully choose words to convey the emphasis or feeling that a storyteller can deliver with a pause or a look. What this will likely add up to is more words than a storyteller will need to tell the same story. 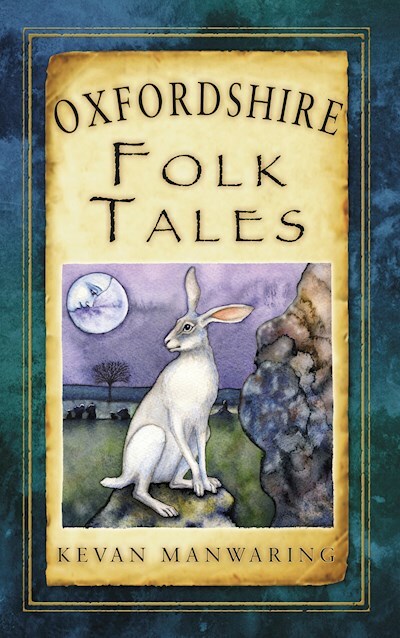 However, since the stories in the Folk Tales books are in origin oral tales (more or less), and since the books are promoted as written by storytellers, it matters that the published texts should have an oral feel. Each contributor to the series has found their own solution to this dilemma. My own approach and that of my collaborator Kirsty Hartsiotis has two main facets. Firstly, we prepared the tales in the same way we do with any other stories we want to perform: break the story down into its bones; consider the themes in the story and our personal responses to them; reconfigure the bones to optimise the story’s structure in the light of its themes; picture the imagery in each scene; and tell the story extempore to willing listeners. In the case of these local tales we also visited the localities where they’re set, which often turned out to determine not only the imagery but also the structure of our retellings. There’s more I could say, about researching historical background, and the splicing and embroidery demanded by more fragmentary tales; but that’s the basic approach. Secondly, when it came to the writing, we applied the techniques of prose fiction, but adopting a voice suggestive of a storytelling voice. Our aim was a simulation of the experience of listening to an oral storyteller, but in no way a rendering of the words we’d use in telling the stories. This means using a vocabulary natural to speech and avoiding more formal choices of wording. It means using oral patterns of sentence structure – simple sentences, even sentence fragments – and avoiding compound sentences with subordinate clauses arranged in ways common in prose but rare in speech. Originally posted on The History Press blog in December 2015.